I am completely in love with Claude Monet. You may have heard of him, he was a artist in the late 1800’s and early 1900’s. He painted in the impressionism style, which is probably why I love his art so much. Some of his more famous works are his Waterlilies and Impression Sunrise. His style was very new and different from the tradition at his time. He painted light rather than objects. I love his work and this quote by him. 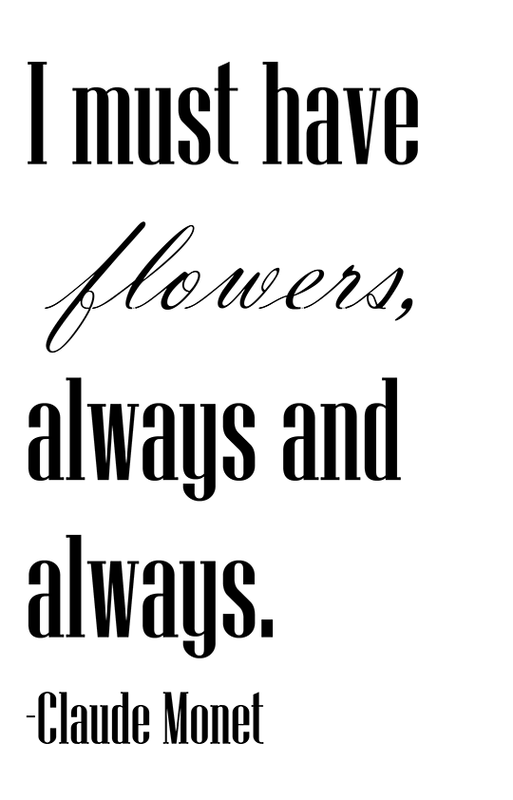 This quote sums up my relationship with flowers! Feel free to make a print out. Have a great Thursday! To learn more about Claude Monet, check him out on Wikipedia.